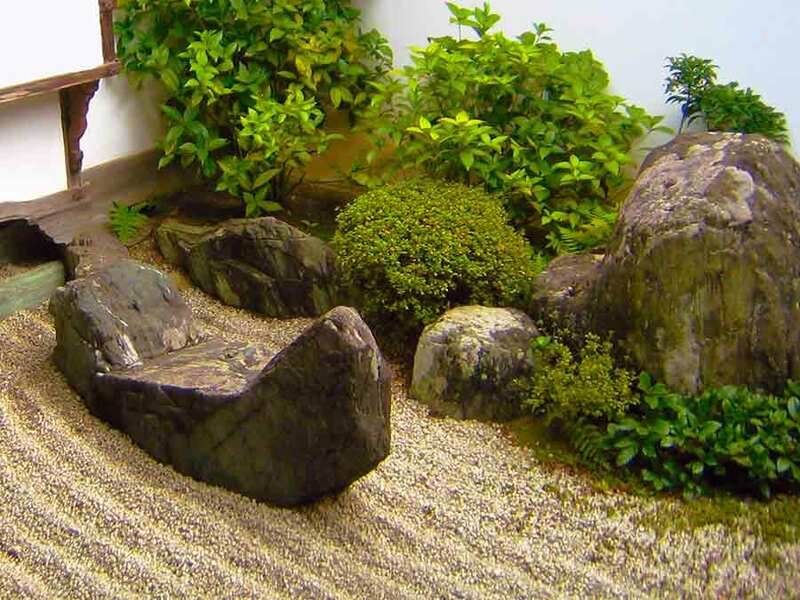 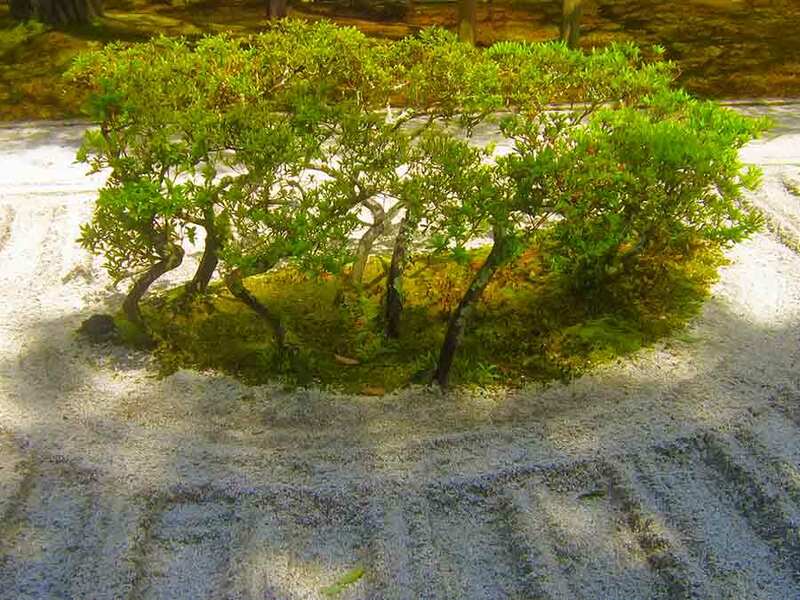 These zen gardens were designed to stimulate meditation. 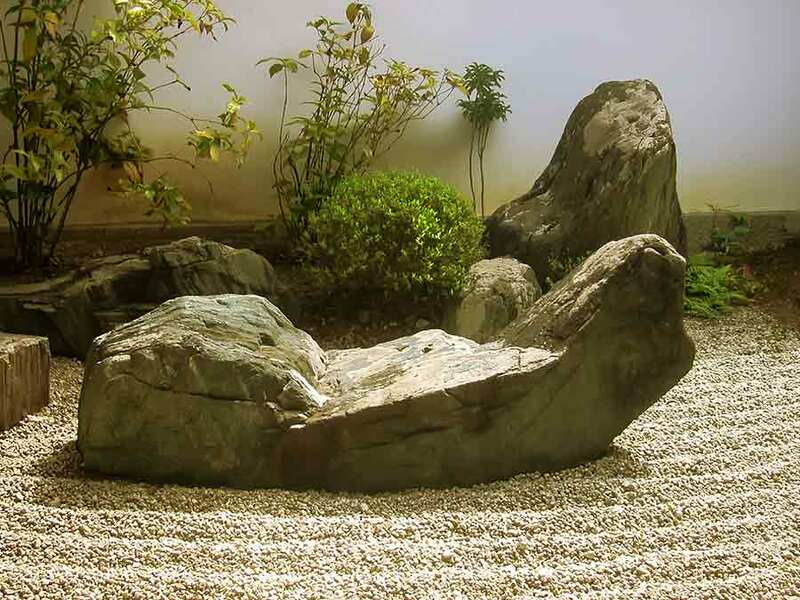 and to serve as an aid to meditation about the true meaning of life. 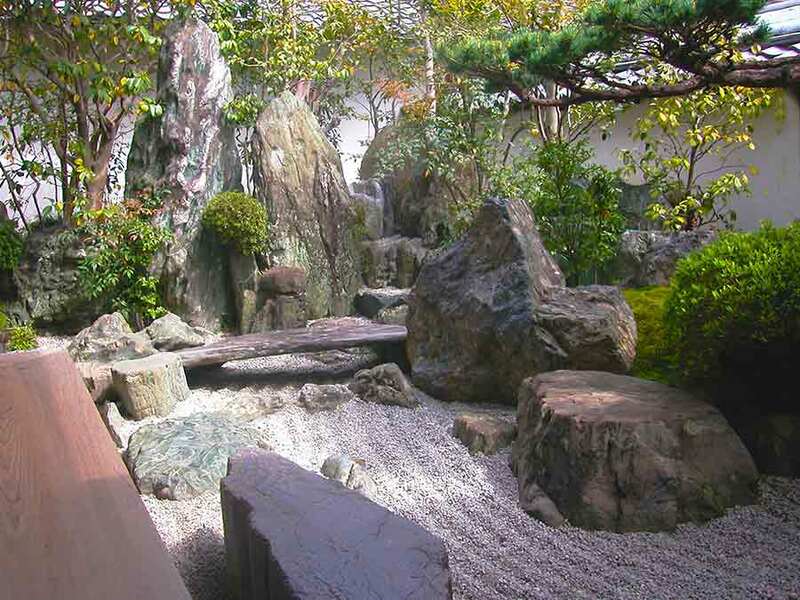 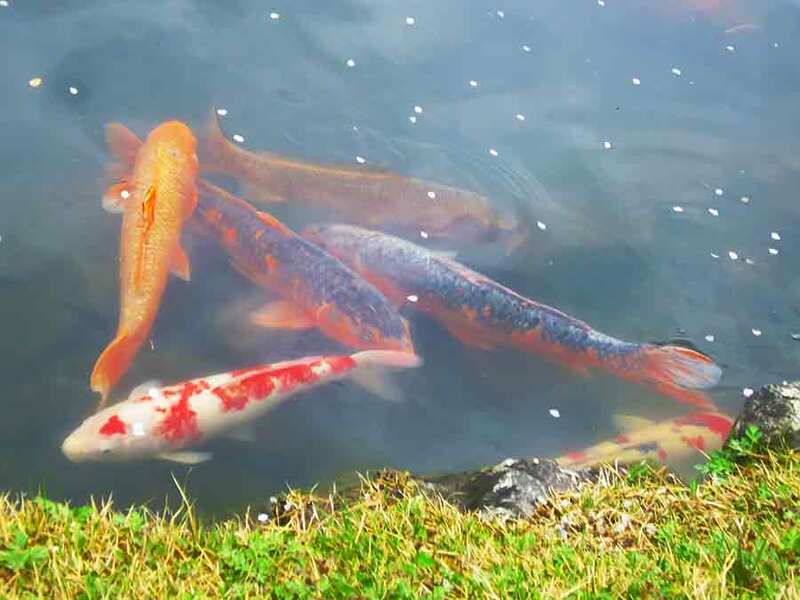 has five small extraordinary well maintained Zen Gardens. 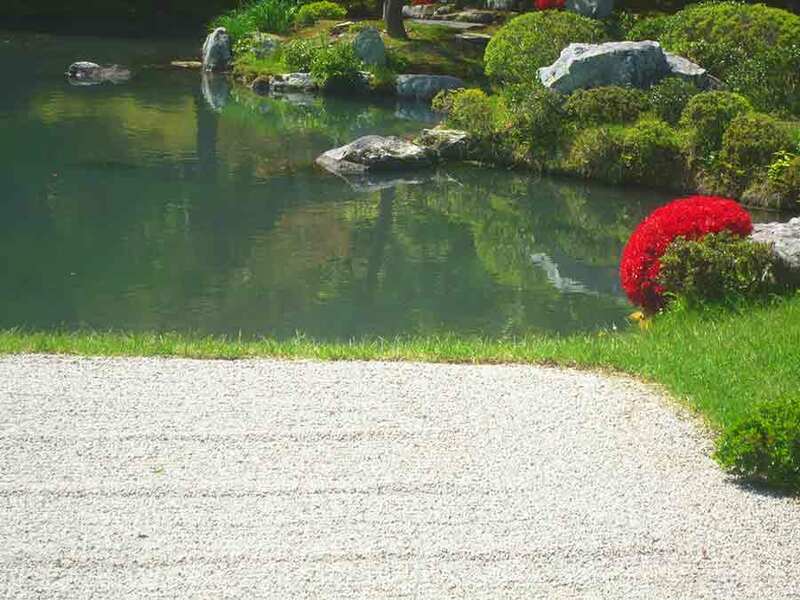 The gardens are all connected to tell the story. 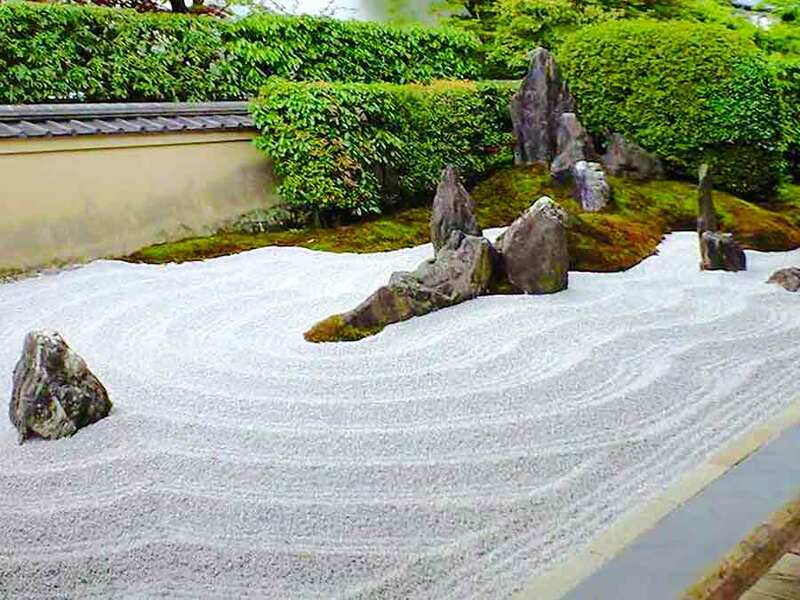 There a "river" of white gravel represents a metaphorical journey through life according to Buddhism; beginning with a dry waterfall in the mountains, passing through rapids and rocks, and ending in a tranquil sea of white gravel, with two gravel mountains. 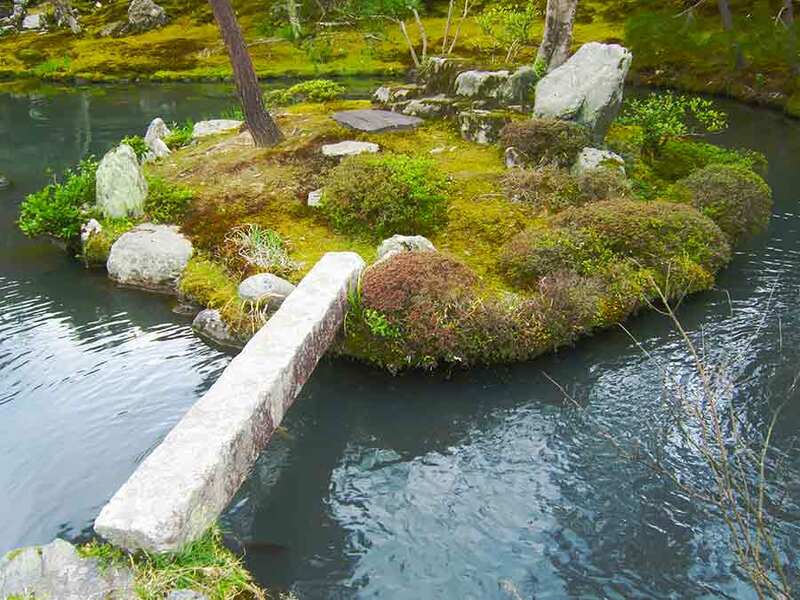 The moss garden includes pond, several islands and bridges, small streams and different plants and trees. 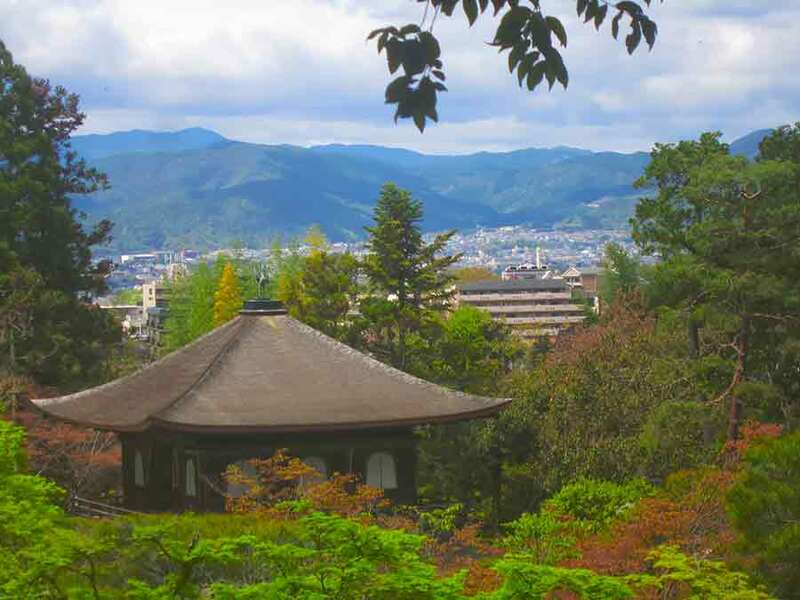 The road climbs up the hill behind the buildings, which offer nice views of the whole area of the temple and the city of Kyoto. 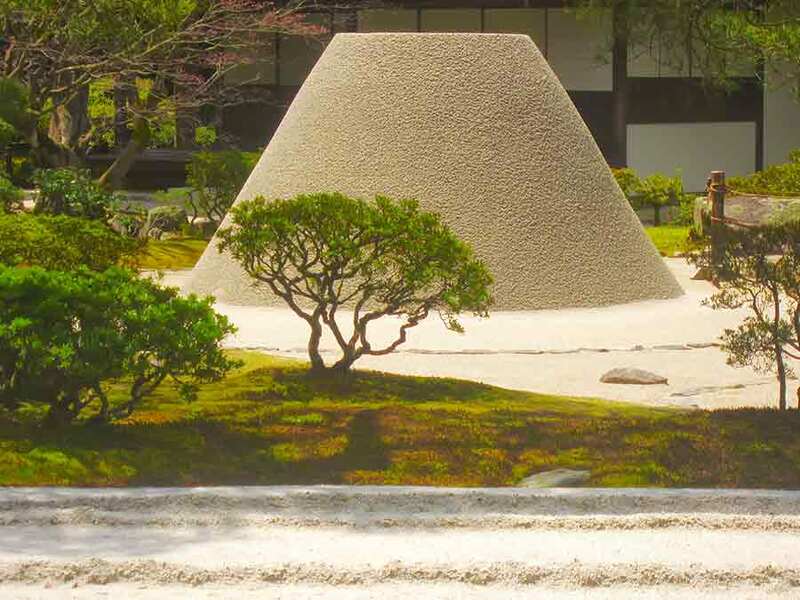 The distinctive huge sand cone called "Platform View of the Moon” pictured above is also located on the grounds of Ginkakuji Temple. 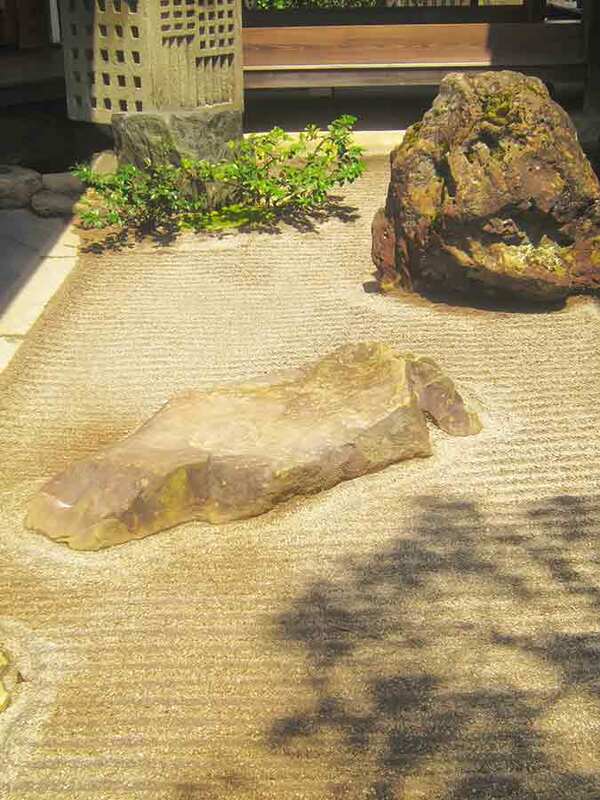 It reflects the light of the moon in the evenings and was meant to sit on while waiting for the moon to rise from the Higashiyama mountains.dry garden. 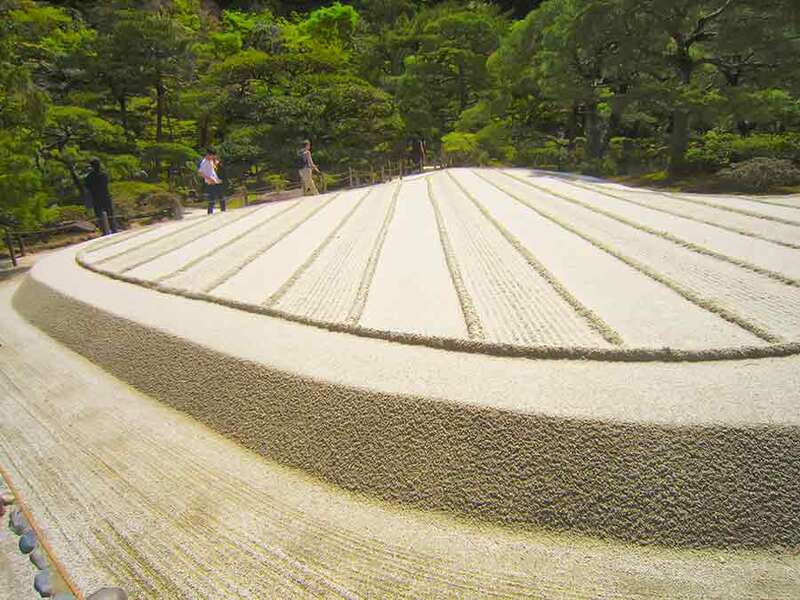 Located in front of the Abbots quarters on the grounds of Ginkakuji Temple is an excellent example of a dry garden known as the Sea of Silver Sand. 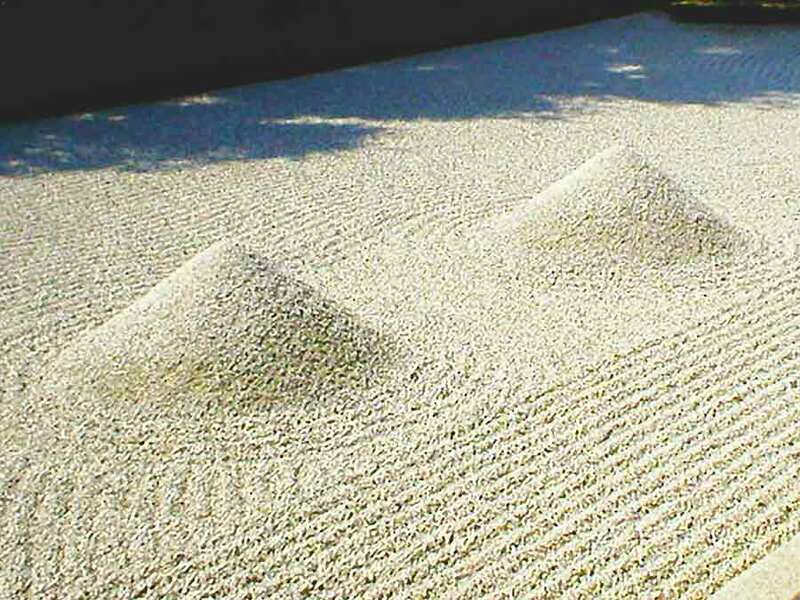 Consists of a two foot platform of sand that covers 0.71 hectares (1.75 acres) and is said to represent the sea. 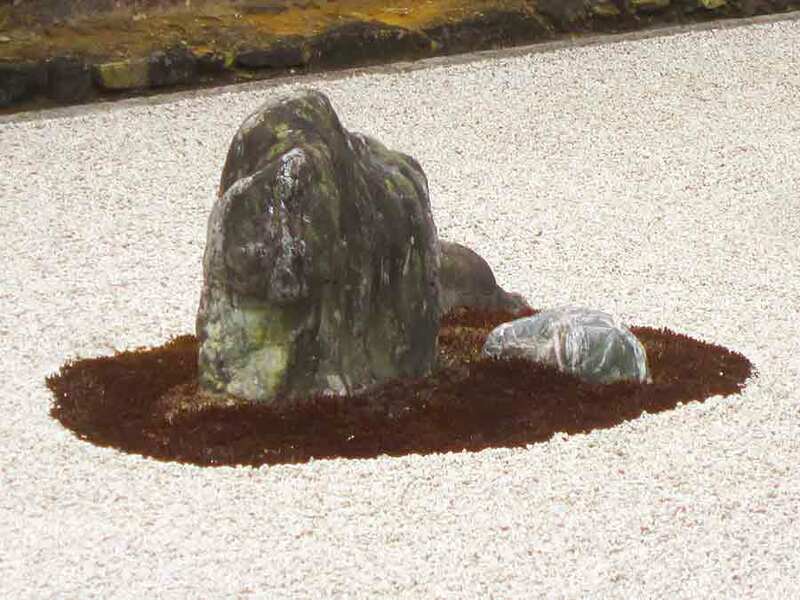 ZEN GARDEN in RYOAN-JI, The Temple of the Dragon at Peace. 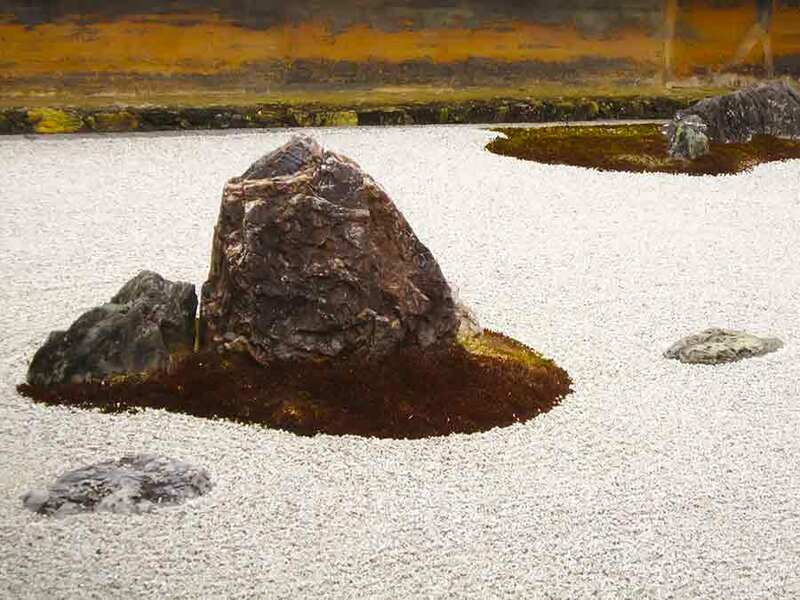 Ryōan-ji is maybe the world's most famous Zen rock garden. 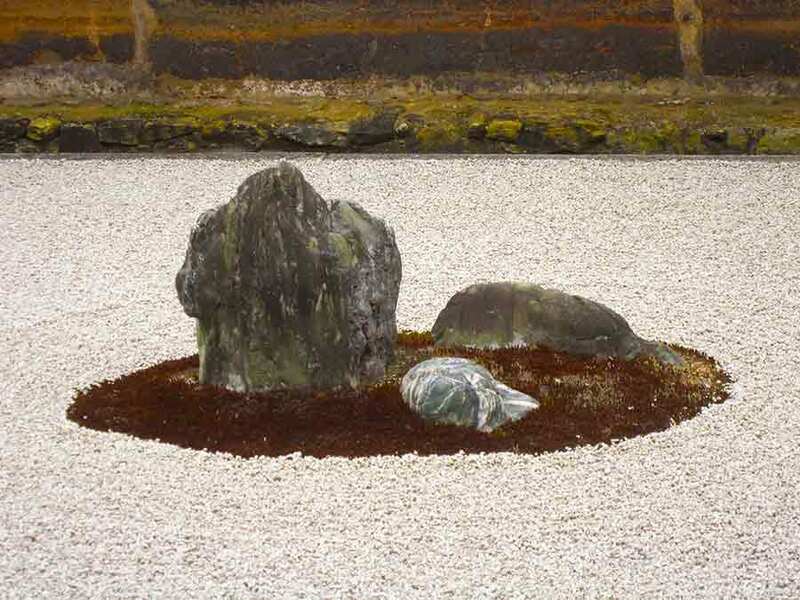 Built in the late 15th century where for the first time the zen garden became purely abstract. 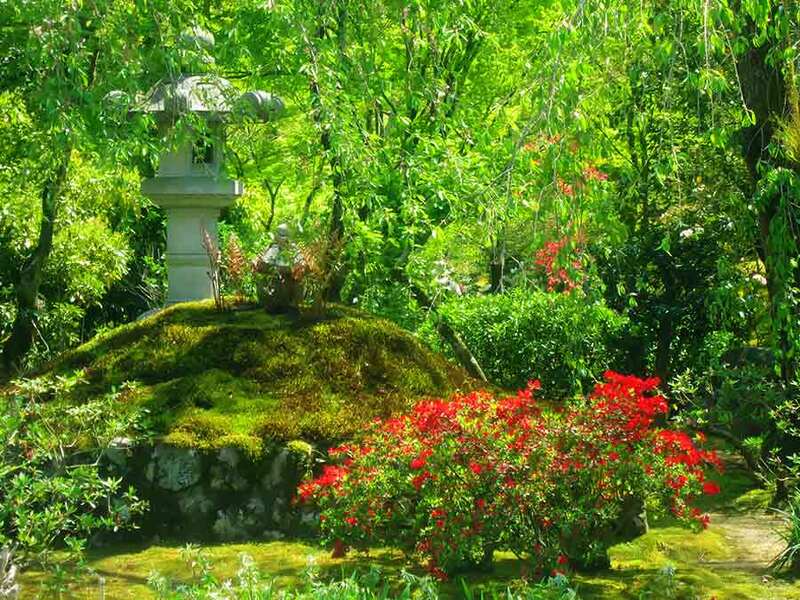 The garden is a rectangle of 340 square meters. 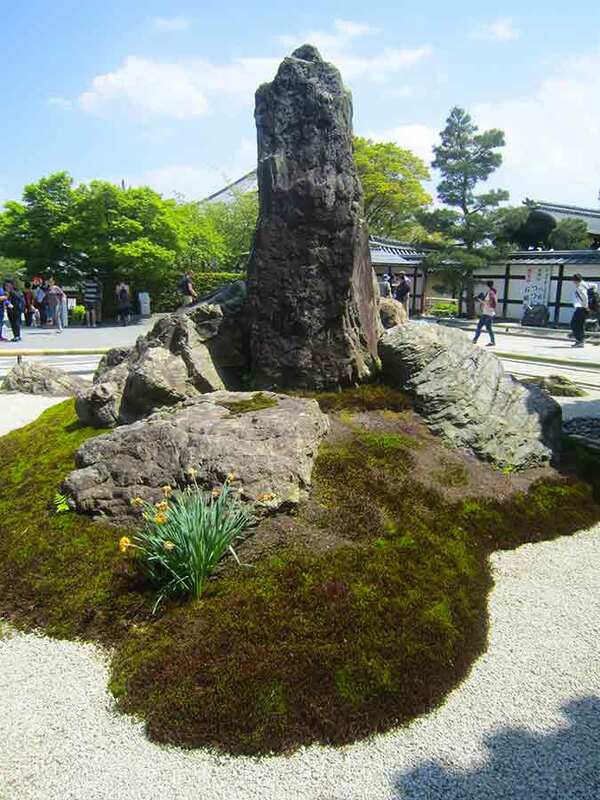 Apart from little patches of moss around the stones, this garden has no plants. 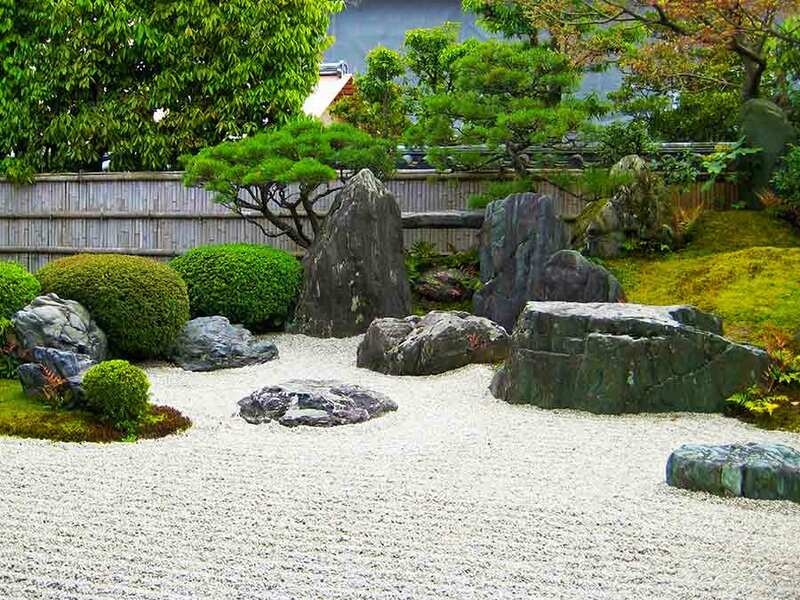 Only rocks and white gravel are used in the garden. 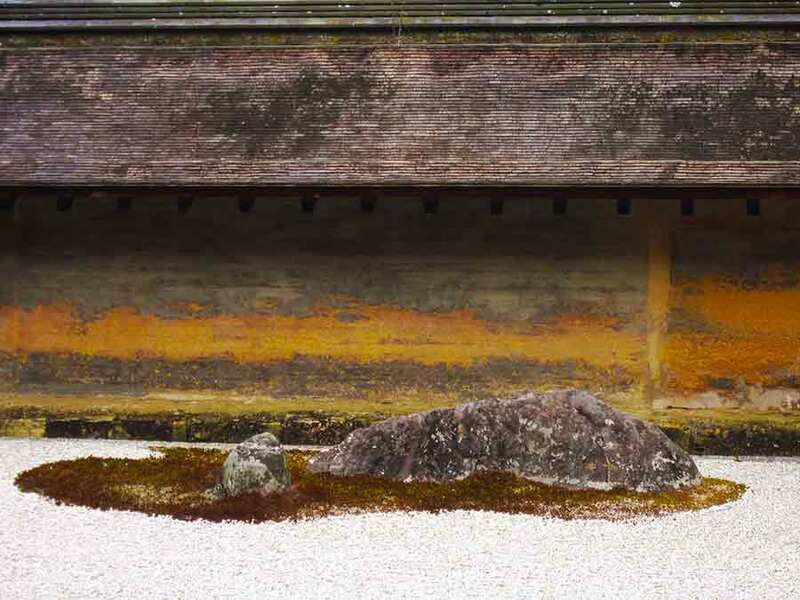 The walls are made of clay boiled in oil. 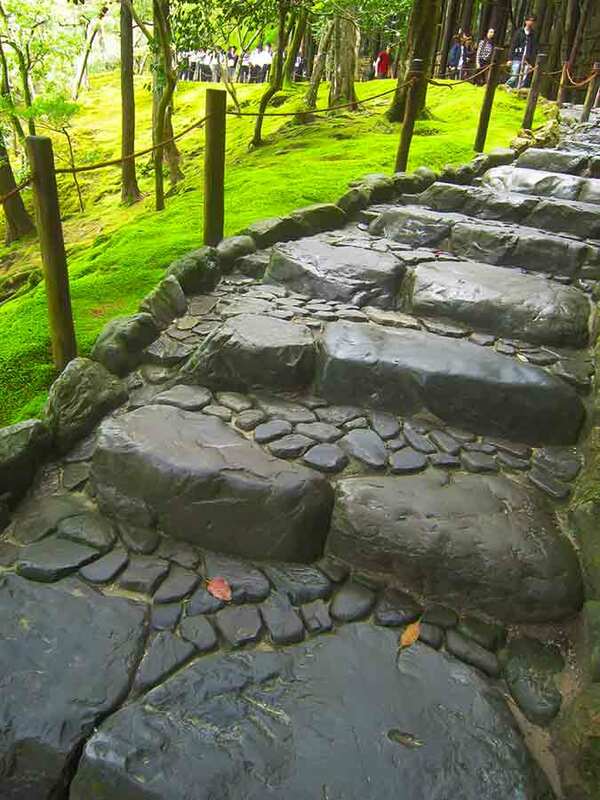 After some centuries they are harder than concrete. 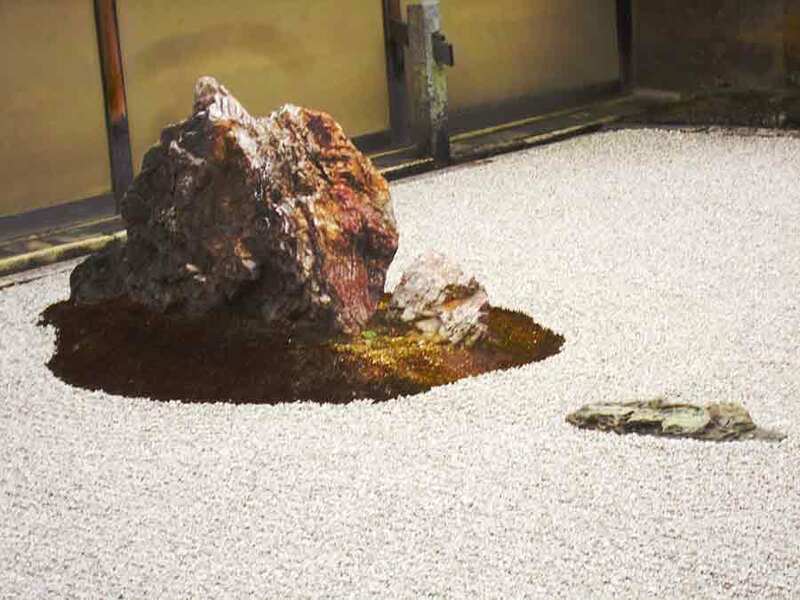 As time went by, the peculiar design was made of itself by the oil which seeped out. 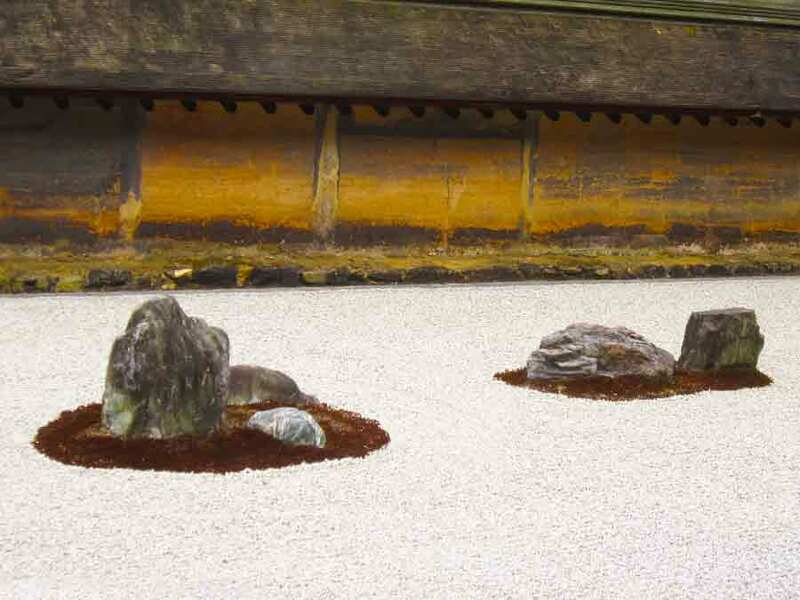 Behind the mud wall a row of trees create a green backdrop for the garden, making the light gravel seem even brighter. 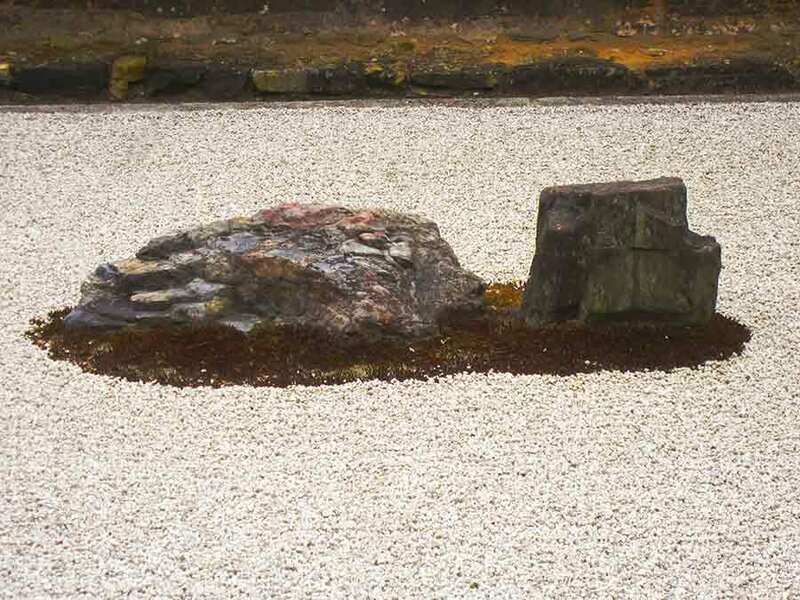 Placed within it are fifteen stones of different sizes, carefully composed in five groups; one group of five stones, two groups of three, and two groups of two stones. 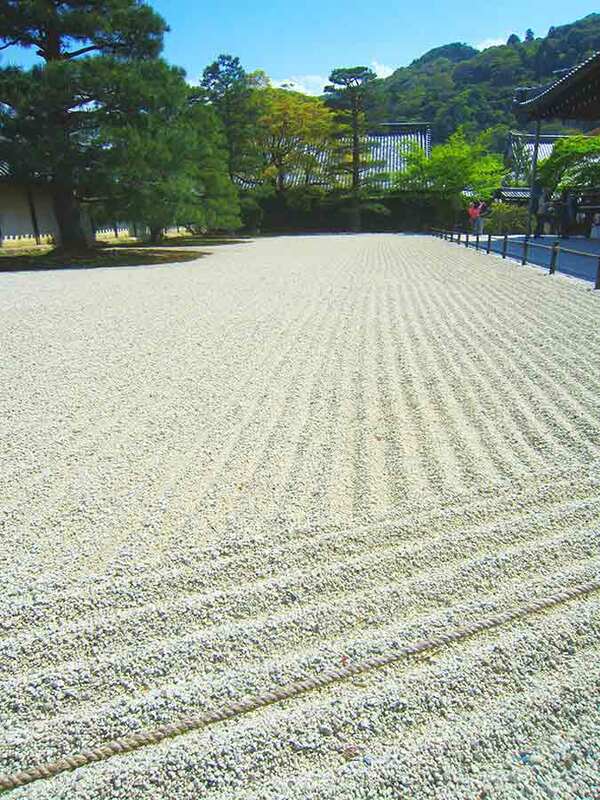 The stones are surrounded by white gravel, which is carefully raked each day by the monks. 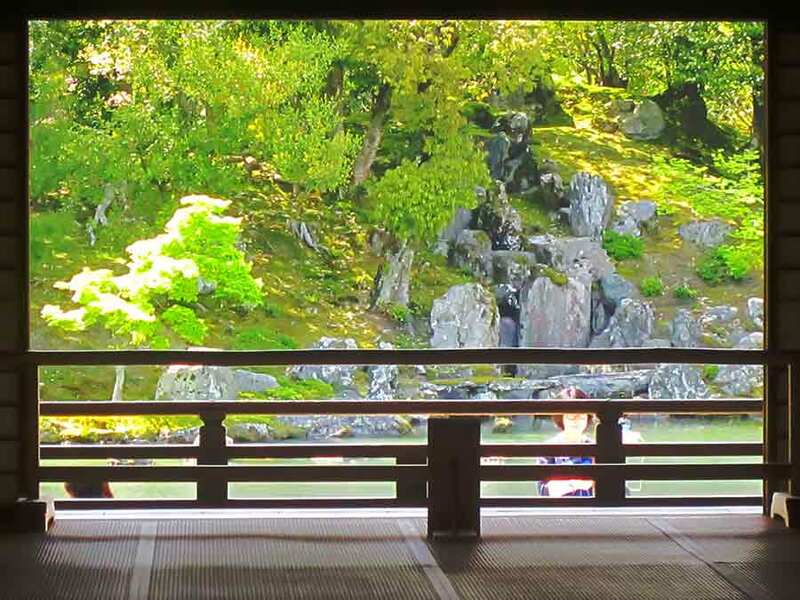 The garden is meant to be viewed from a seated position on the veranda of the hōjō, the residence of the abbot of the monastery. 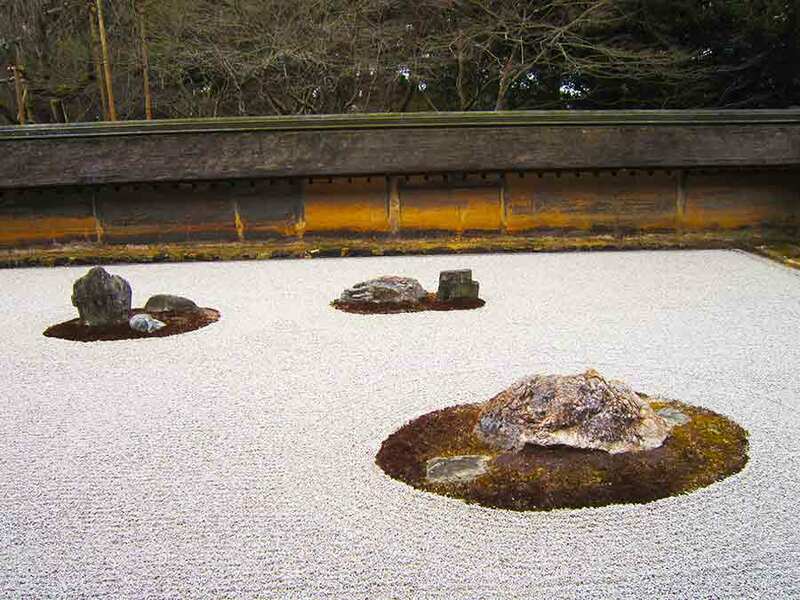 The stones are placed so that the entire composition cannot be seen at once from the veranda. 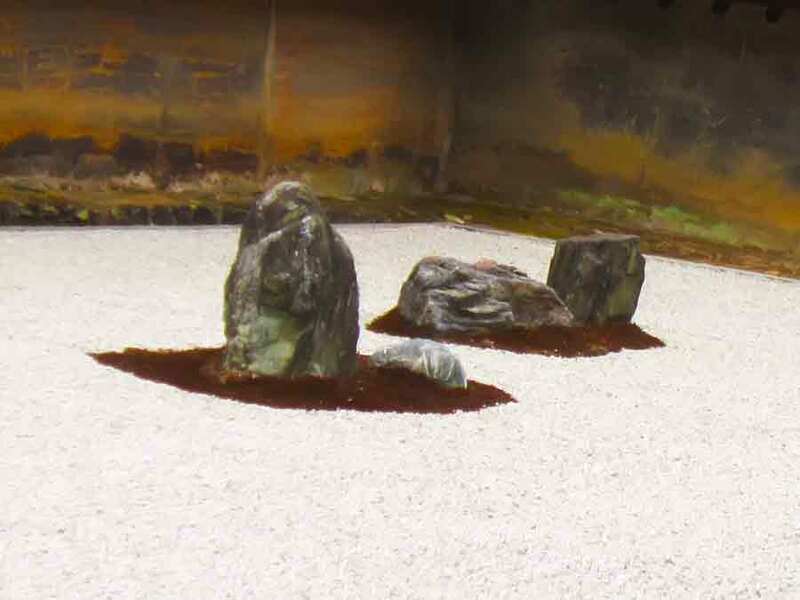 They are also arranged so that when looking at the garden from any angle (other than from above) only fourteen of the boulders are visible at one time. 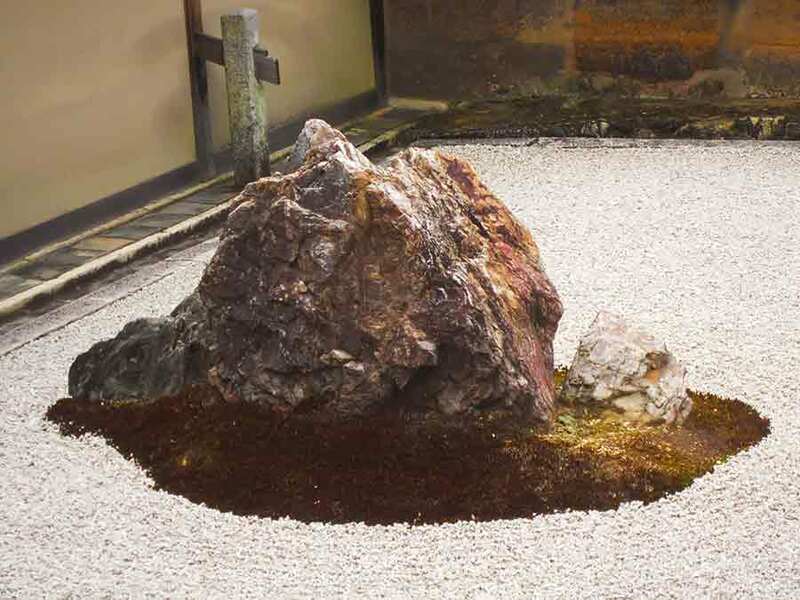 It is traditionally said that only through attaining enlightenment would one be able to view the fifteenth boulder. 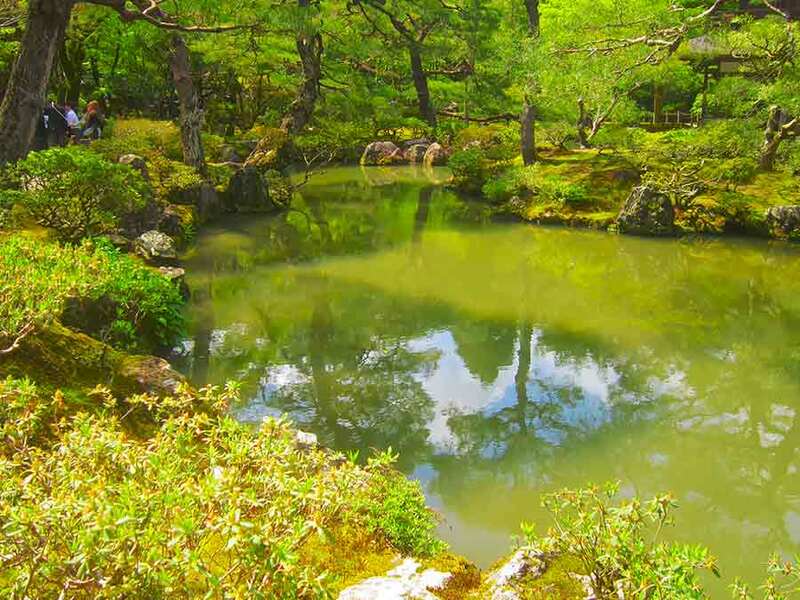 is ranked first among the city's five great Zen temples, and is registered as a world heritage site. 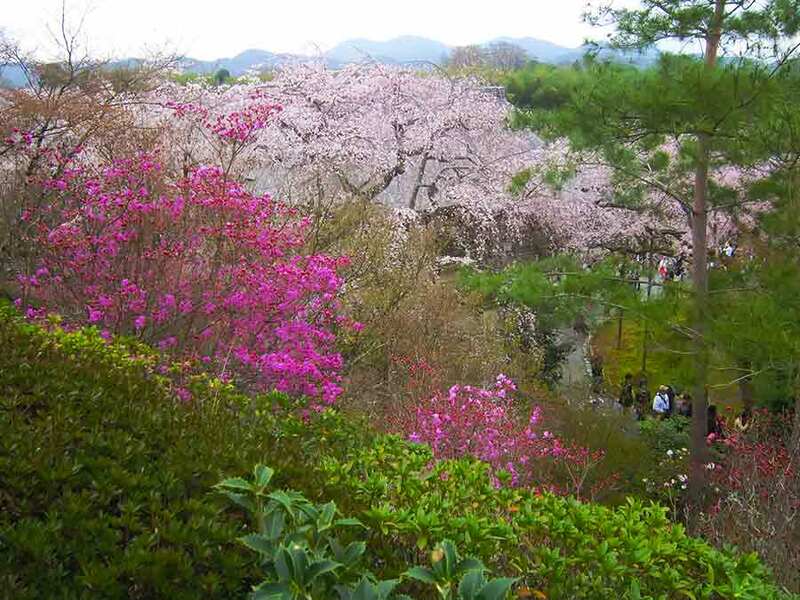 Tenryuji's buildings were repeatedly lost in fires and wars over the centuries. 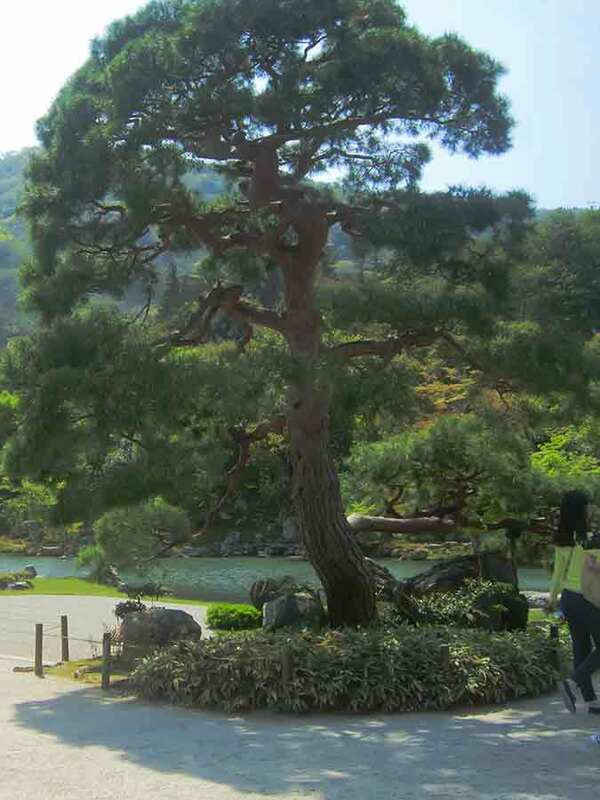 Most of the current halls date from relatively recent period. 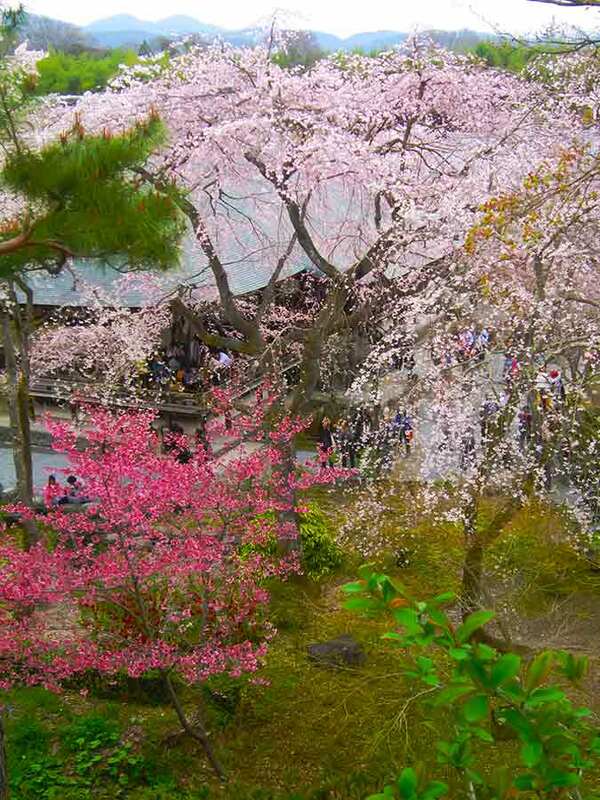 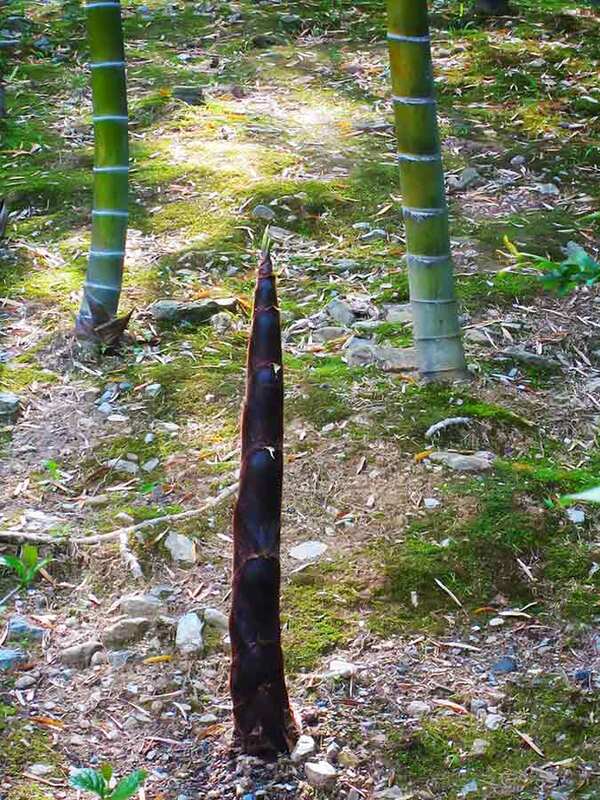 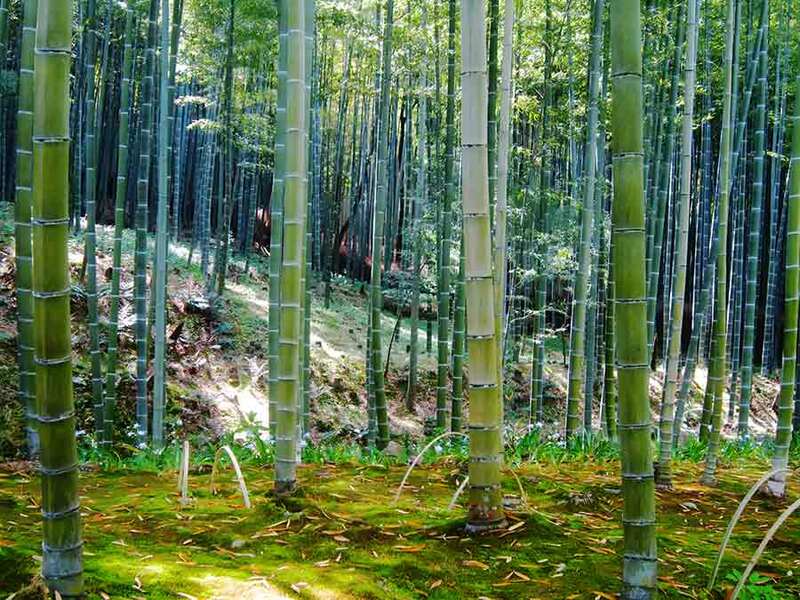 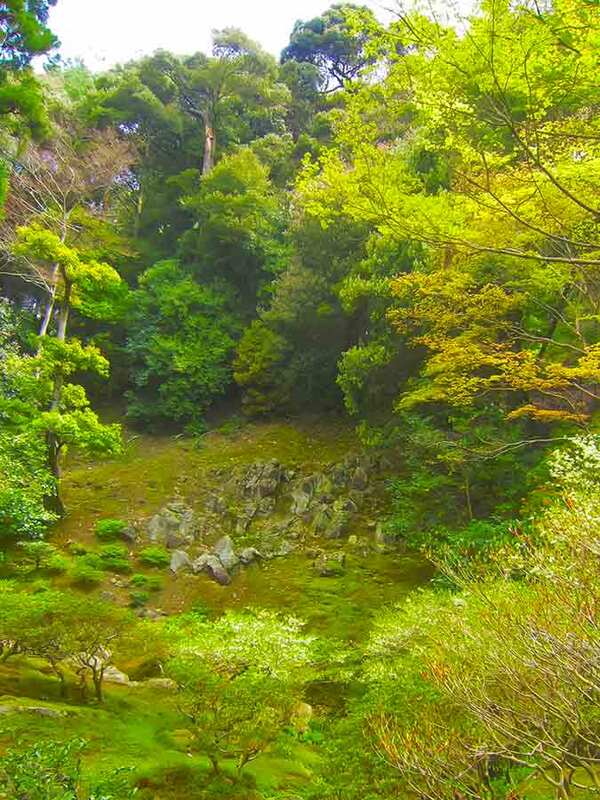 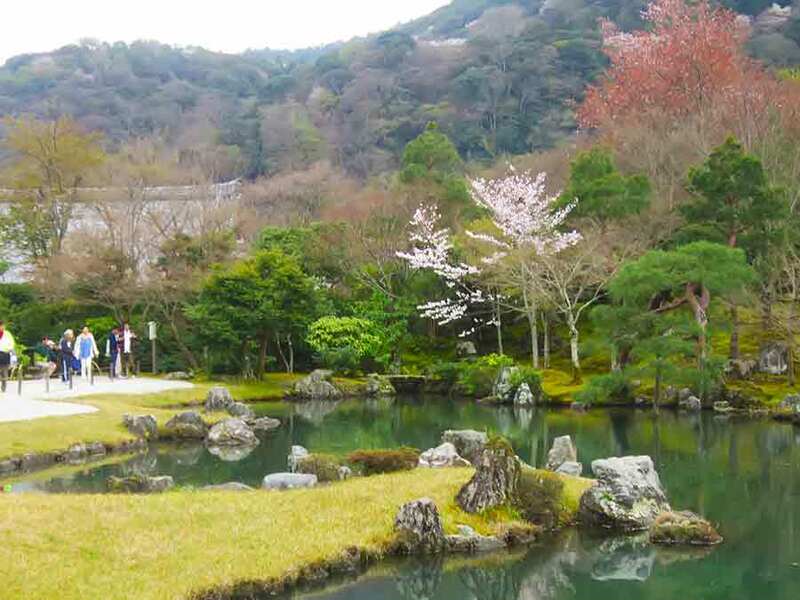 Unlike the temple buildings, Tenryuji's garden survived the centuries in its original form. 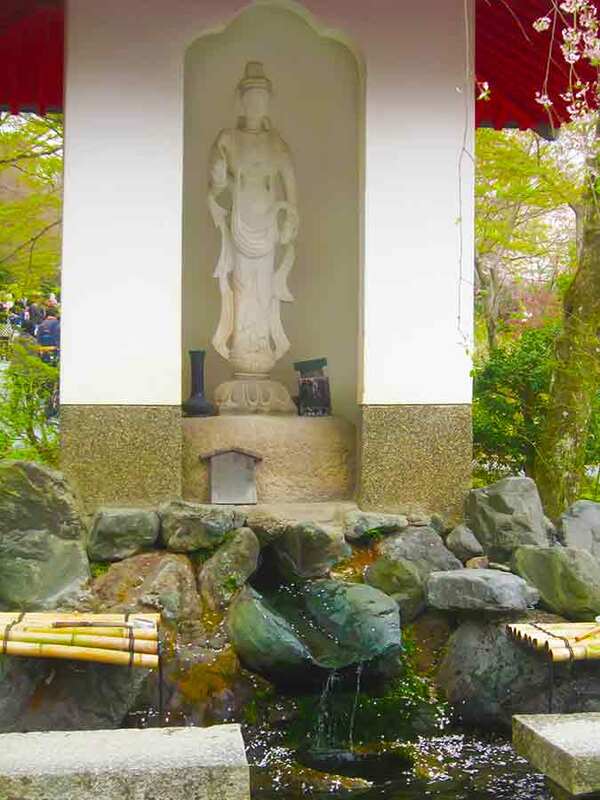 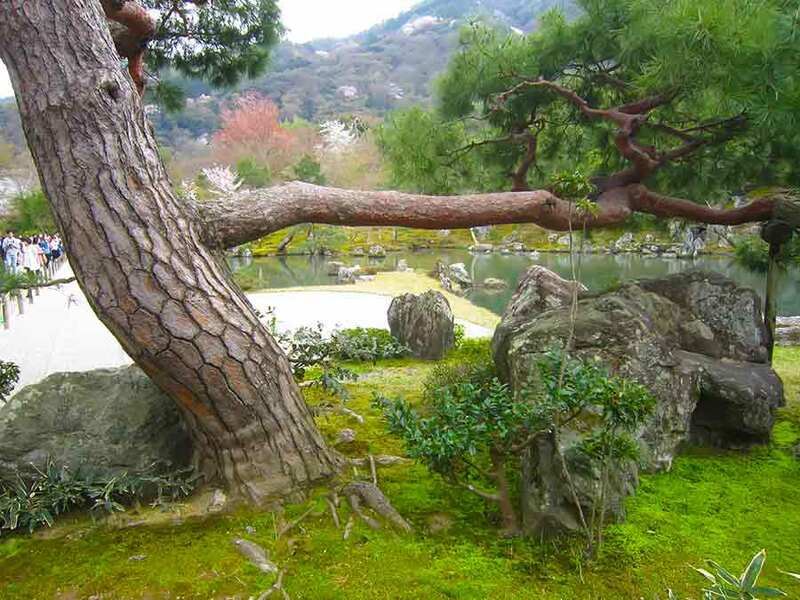 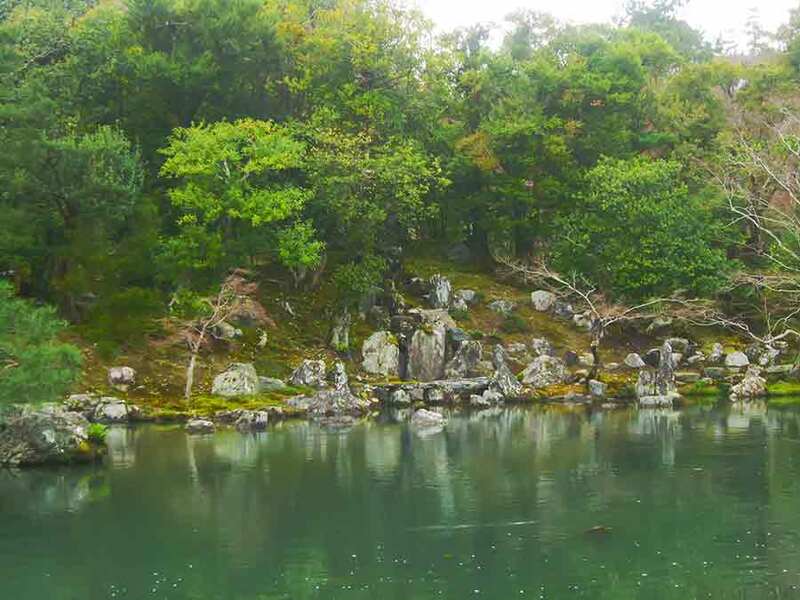 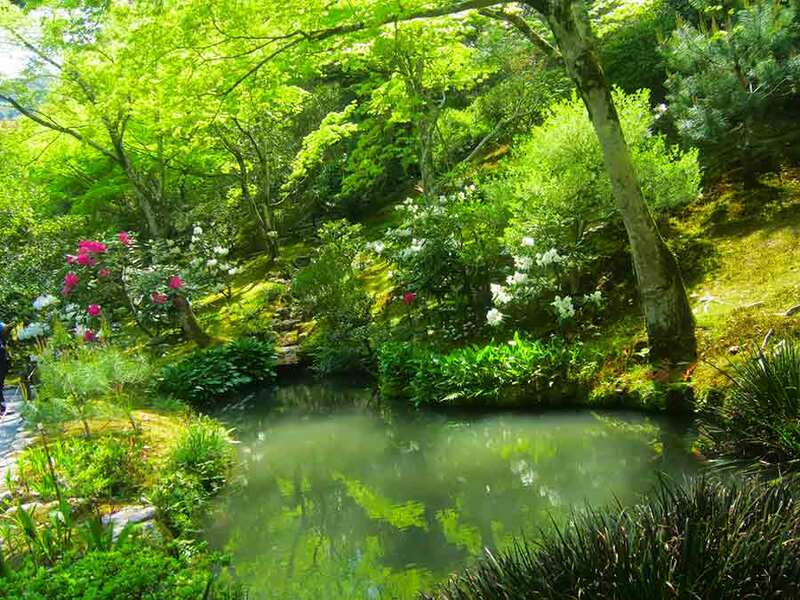 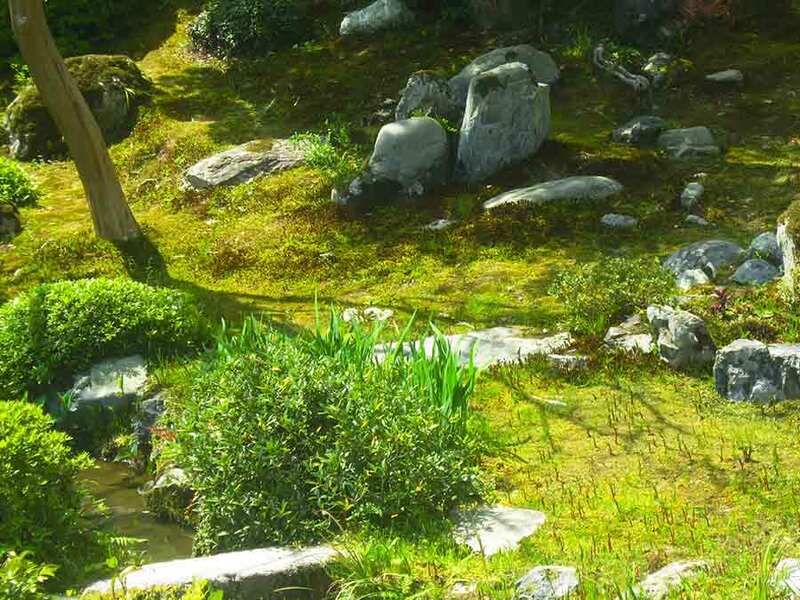 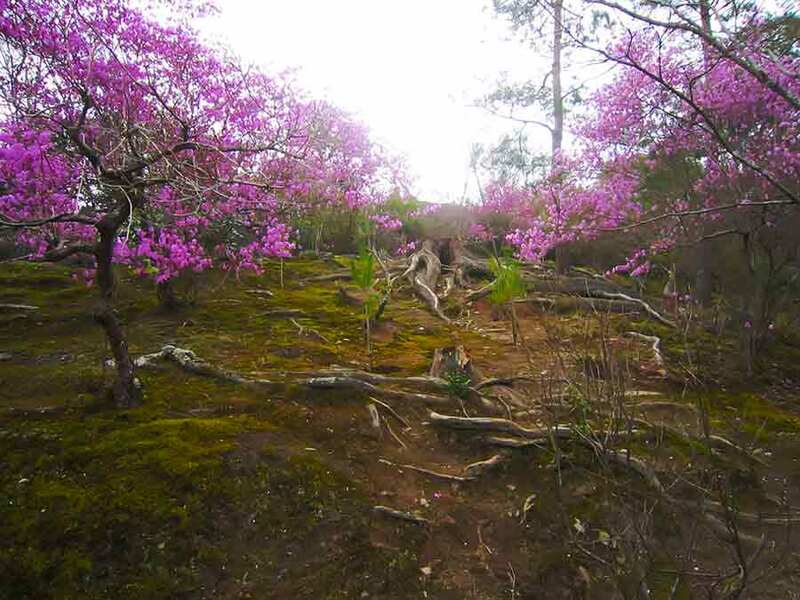 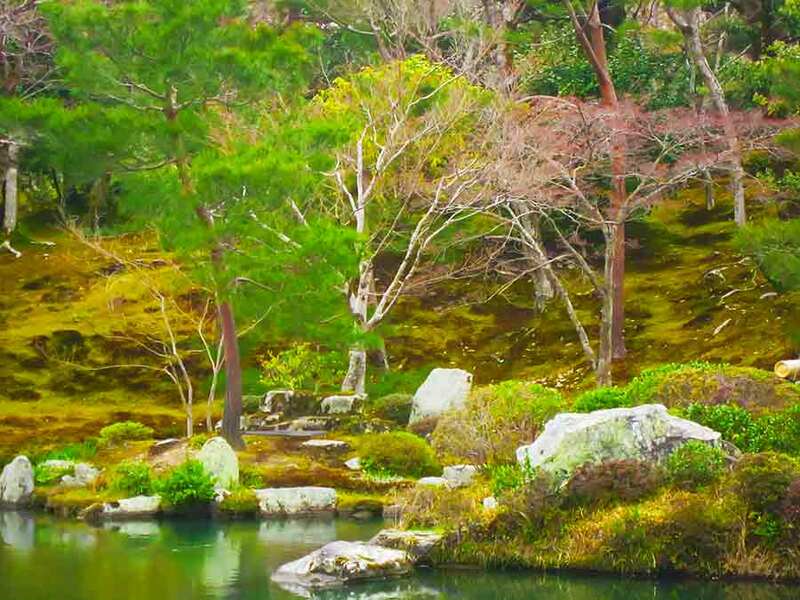 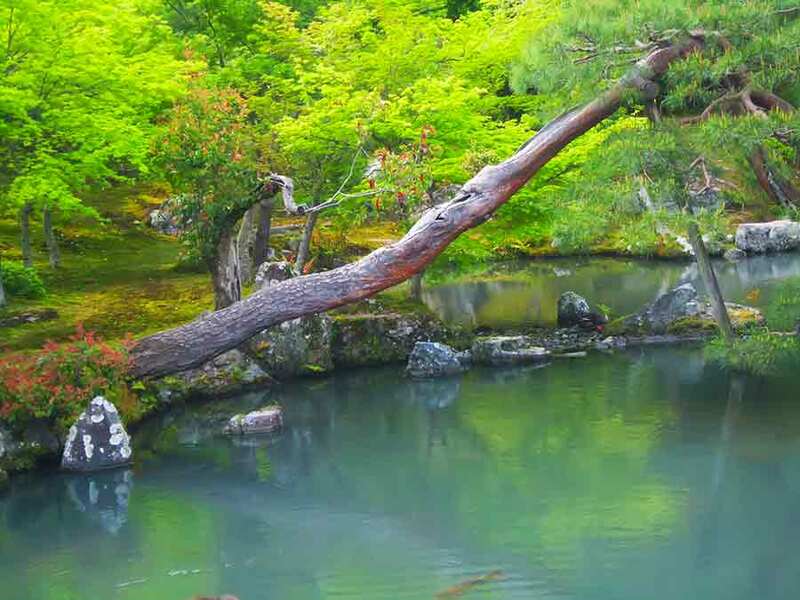 Created by the famous Muso Soseki, who also designed the gardens of other important temples, the beautiful landscape garden features a central pond surrounded by rocks, pine trees and the forested mountains. 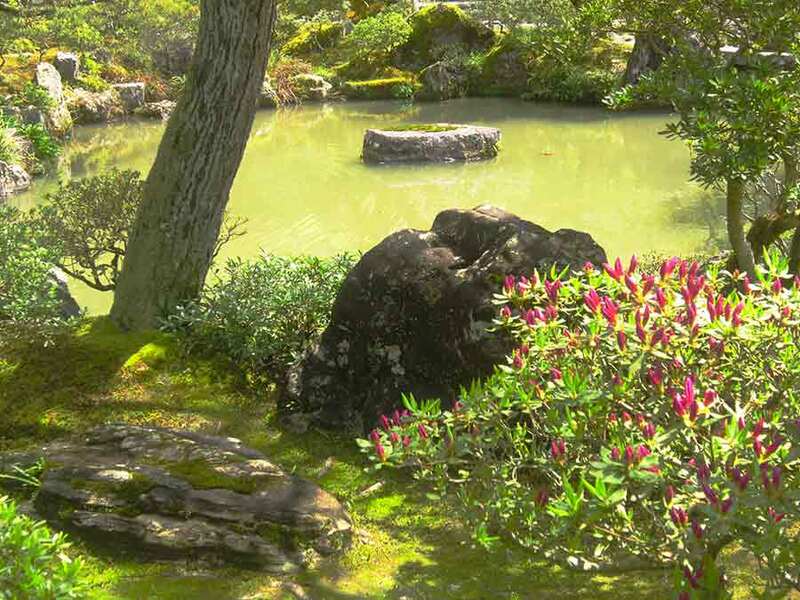 Behind the main hall of Tenryū-ji is the Sogenchi Garden, built by Musō Soseki, a master of garden art in the 14th century in the style: "go for walk". 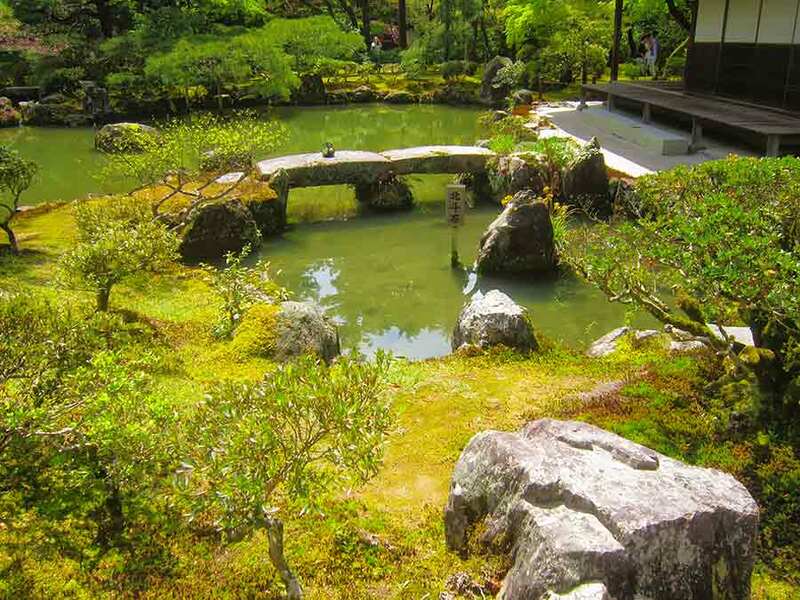 The garden is still preserved almost exactly as in the first days. 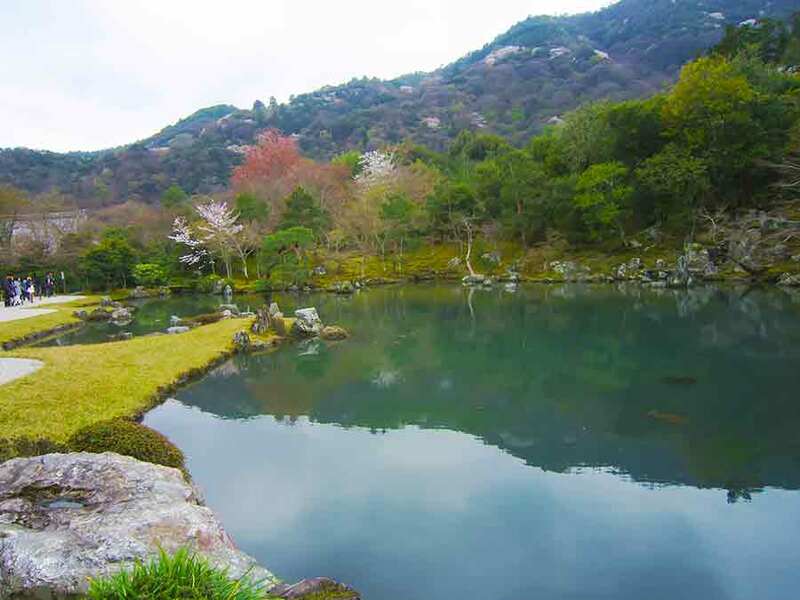 Features a circular promenade around Sōgen Pond and is designated as a Special Place of Scenic Beauty of Japan.